No wonder Unity Lenses are being developed at a rapid pace. 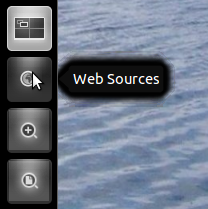 This new 'Web Sources Lens' lets you search the web right from the Launcher just as you search for local files on your PC. 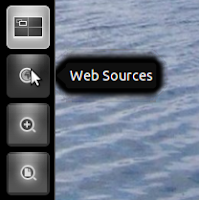 We'll install the 'Web Sources Lens' from a testing PPA. 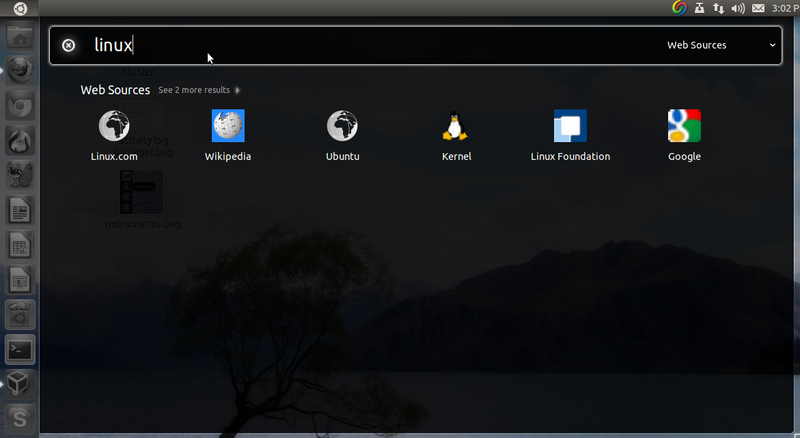 You need to follow these command from the Terminal. 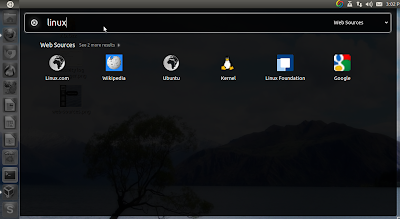 Once installed, you need to log out and back in to access the Web Search Lens from your Launcher. It displays top 6 results by default from Google and displays the sources instead of pages which helps keep the Lens neater.